This program allows you to work with recorded monophonic audio data in the usual form of the musician – editing and changing the sound produced by adjusting directly the musical and melodic characteristics of the audio. Namely, the program reads the original mono audio material, makes its analysis, on the basis of which it presents the audio data in the form of sections (samples) of this material scattered along the notes corresponding to them (having previously marked the rhythm gri. Now the user can take separate parts of the audio and raise / lower them through the music staff, which will correspondingly affect the pitch – this is how the pitch is edited. Similarly, you can change the duration of the sound sections (time-stretch), as well as formant composition, amplitude and other characteristics. The program allows you to work with 24 audio tracks simultaneously. It should be noted a very high quality sound processing algorithms. 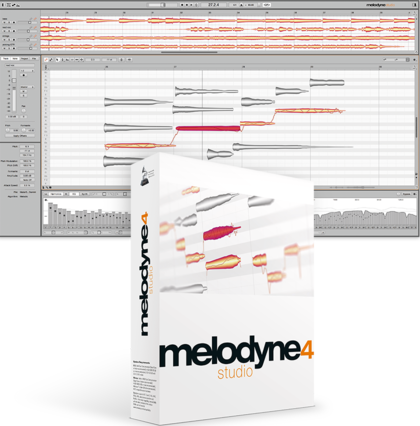 Using the program can be extremely indispensable, for example, when adjusting vocals. System requirements: Windows 7 x64 / x86 SP1 + platform update, Windows 8, 8.1, 10 x64 x86.